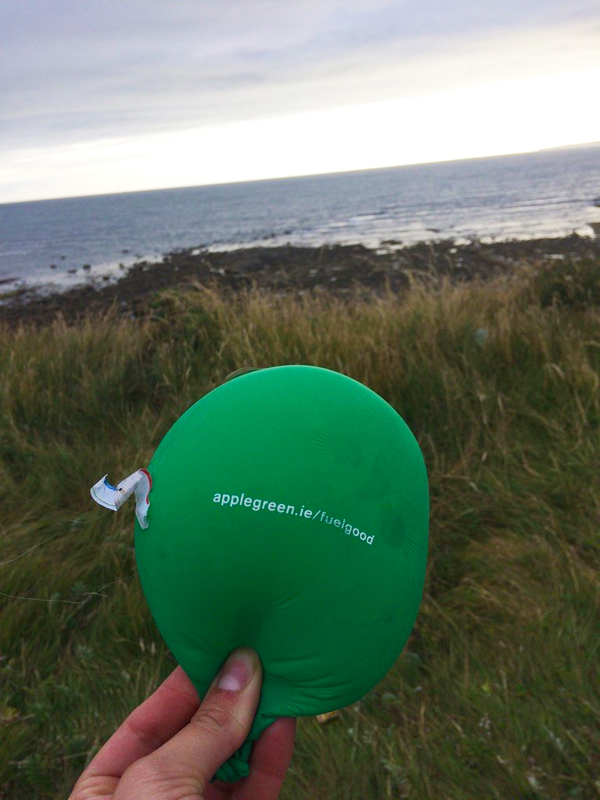 Green-Schools›Posts›Summer Blog Series – Balloon releases into the natural environment. In one of his later novels, the late author, Terry Pratchett, said “There are times in life when people must know when not to let go. Balloons are designed to teach small children this.” Unfortunately, it has become evident in recent years, that letting go of balloons can have much more far-reaching and sinister impacts than simply the disappointment of losing a balloon – indeed deliberate large-scale balloon releases have become a popular way of marking graduations, celebrations and any number of events by creating an attractive visual display. But are we really aware of the huge negative impact these balloons go on to have on our natural environment? The turn of the 20th century saw new innovations in chemical technology which led to exponential developments in new forms of plastics. The last 70 years has seen the mass production of single-use plastics and has in turn, developed throw-away cultures worldwide. Society is constantly growing and learning in unison with our changing environment. We have learnt through scientific research, educational programmes and media that discarded inorganic material has hazardous effects on aquatic life and is detrimental to the natural environment. Iconic industrial disasters and pollution spills have made headlines worldwide over the last few decades, but mistakes also occur on a local scale and contribute to contamination in the environment. If we look at Ireland for example, we have seen our fair share of Rubber Duck Derbies threatening water-ways and plagues of released flyers littering our streets! Unless you have been knee-deep in a woodland tidy-up or braved the elements of an Irish beach clean you might not think too much about where our discarded items make their way to. Balloon releases continue to be a major problem and throughout the last year there have been many sightings of these incidents in Ireland. What goes up must come down. When a balloon is released into the open air, whether individually or en masse, it will eventually fall back to either land or water. The tangled ribbon is known to trap and ensnare marine mammals and seabirds and the deflated balloon is commonly mistaken for food by aquatic life. On its journey, a released balloon can travel thousands of miles and cross borders into foreign countries or waters. The balloon will eventually break up into smaller pieces of rubber making them impossible to retrieve from the environment. Their bright colours can deceive any creature into thinking that they are nutrient rich organisms and when filled with water they can be mistaken for a tasty jellyfish. Similarly, glowing paper lanterns can also cause problems due to their many non degradable components. 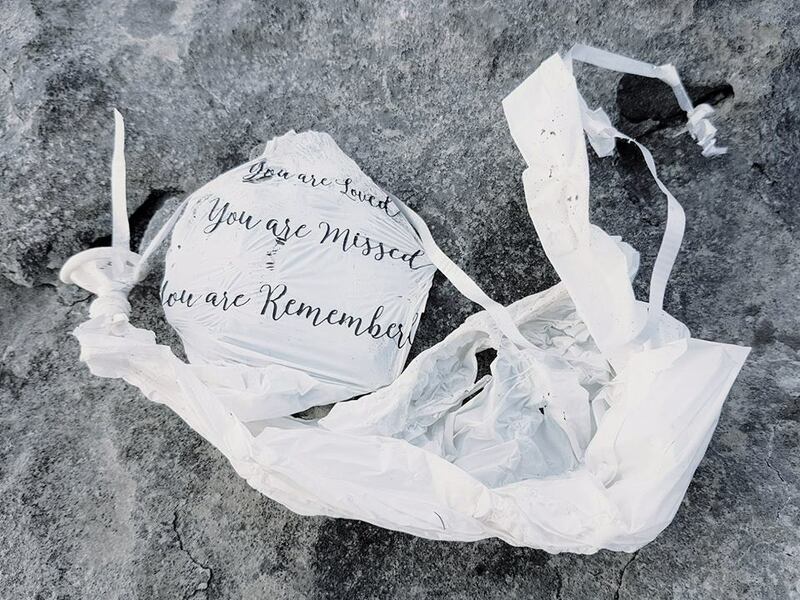 Investigate the materiality of the product (every element of it), don’t be fooled by items marked as degradable latex and always remember that the best practice is to leave no trace. Latex can take up to a year to degrade and can reside in the stomachs of animals for long periods of time. An ingested balloon can block an animal’s digestive tract creating a false sense of fullness which could lead to starvation. Balloon releases are often used to highlight a charity event or share an important memory due to the visual impact they make across a skyline. Once the crowd has dissipated however, the after-effects of the release take on a grim reality. 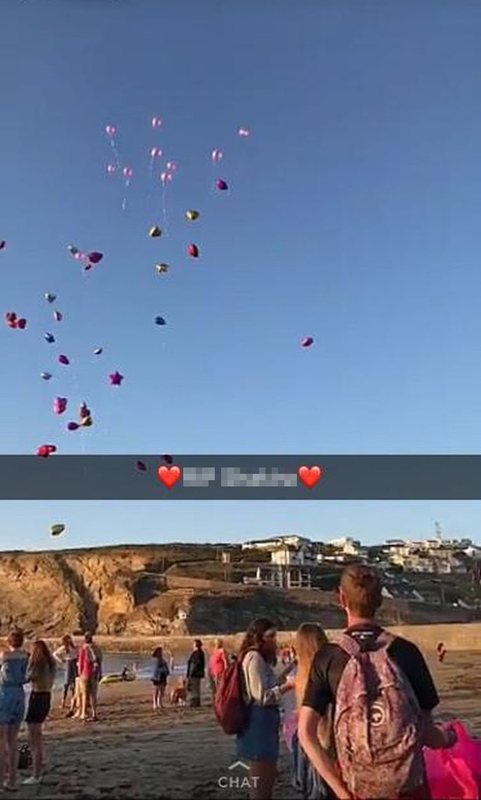 Despite our best intentions, releasing a floating balloon or paper lantern, even as a well-meaning gesture, has the same environmental impact as littering pieces of plastic into a river course or dumping on a beach. Unfortunately, the good intent does not negate our responsibility to dispose of our products in a sustainable way. Luckily, there are plenty of ways in which we can mark an event and do something positive for the environment at the same time, for example other more environmental alternatives of marking a celebration would be to plant flowers or trees which will actively benefit the local area both visually and enhance biodiversity. Green-Schools committees regularly report finding fragments of balloons during their environmental assessments. 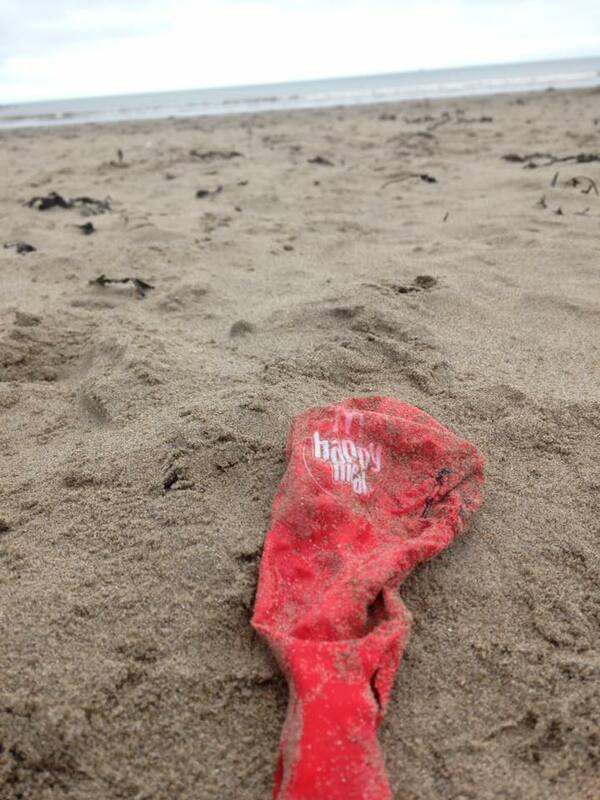 Clean Coasts groups have also seen a rise in colourful bits of tangled twine and balloon buried into sand. We would love to see the release of balloons banned in Ireland. If you also feel passionate about this issue you can write to a TD or your local government and implore them to have this practice banned in Ireland. If you would like to download a template letter you can do so here. Balloons Blow Away have a Facebook page highlighting upcoming balloon releases; why not write to the organisers of such events with positive alternatives to releasing balloons. Flying kites – kites are beautiful, eye-catching and most importantly…reusable! Why not invest in one or more kites which can be reused or kept as a memento of your event. Bubbles – bubbles are visual, low-waste and fun to use for kids and adults alike; remember to recycle the hard-plastic parts after using. Flags, streamers or dancing ribbons – ribbons and streamers in a variety of colours can brighten up any event! You could even create your own from upcycling old materials, or perhaps, if you are having a school event, choreograph a simple dance for students to do while waving the ribbons or flags – a great way to have a fun and interactive celebration. Bunting – bunting is another decoration easily crafted from old materials. For a school event each student could design their own upcycled piece of bunting which could be strung together and raised to decorate the area, a lovely way for each student to contribute their unique style to the event. For lots of other great ideas and alternatives you can check out Balloons Blow campaign – we hope that these ideas will help you to make a more sustainable choice!